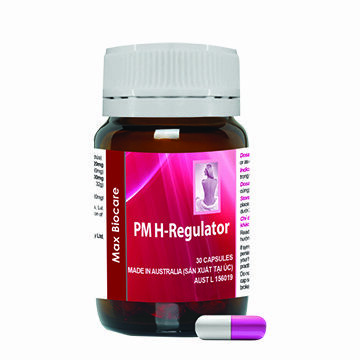 *Red denotes higher levels than PM Procare. Why is there more folic acid? Why is there more omega-3? DHA is essential for brain development (cognition, motor development, learning and behaviour, intellect, attention, visual acuity) and with EPA, they are important for immune development (reduce risk of allergies and immune problems). Clinical studies show that a higher DHA supplementation (>130mg/d) can enhance many aspects of cognition, motor development and visual acuity. 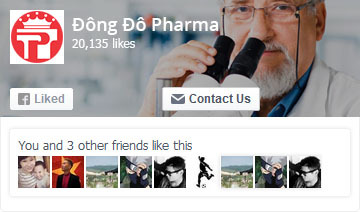 A level of at least 200mg/day is recommended of DHA. From pre-conception, higher DHA levels were positively associated with improving embryo morphology in women undergoing IVF/ICSI treatment. Why is there more iodine? Iodine deficiency is the number one cause of preventable mental retardation and brain damage in the world. It can also lead to many growth and developmental disabilities. Due to several changes (less iodized salt used in food processing, less iodine in soil), the availability of iodine in food has been reduced, making pregnant and breastfeeding women more vulnerable to iodine deficiency and the associated risks. 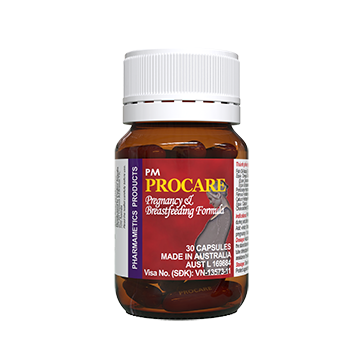 Procare Diamond provides 75% of the RDI for breastfeeding and 90% of the RDI for pregnancy. Why is there more iron? Iron deficiency and iron deficiency anemia are the biggest nutritional deficiency and anemic disorder in the world. Pregnant women are at most risk of iron deficiency as the RDI increases by 50%. Iron is essential for oxygen and nutrient delivery to the fetus and fetal brain development. Iron is not well absorbed, thus typically, if a diet is low in red meat, supplementation is required. 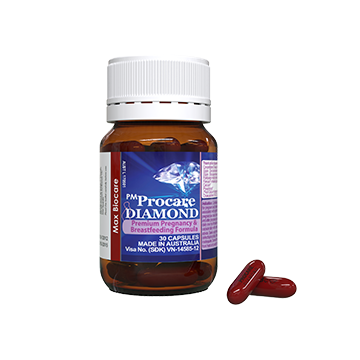 The level of iron in Procare Diamond is nearly 90% of RDI for pregnant women. Why is there more vitamin D? Vitamin D deficiency is quite common amongst pregnant women, particularly those who remain indoors and don’t get sufficient sunlight daily. Vitamin D is essential for calcium absorption and distribution to maternal and fetal bones (as well as breast milk). Even if women ingest sufficient amounts of calcium, they still need adequate amounts of vitamin D to make sure it is absorbed to prevent bone deformities, rickets and preeclampsia.